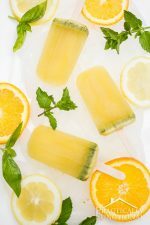 What better way to beat the summer heat than with delicious homemade popsicles?! 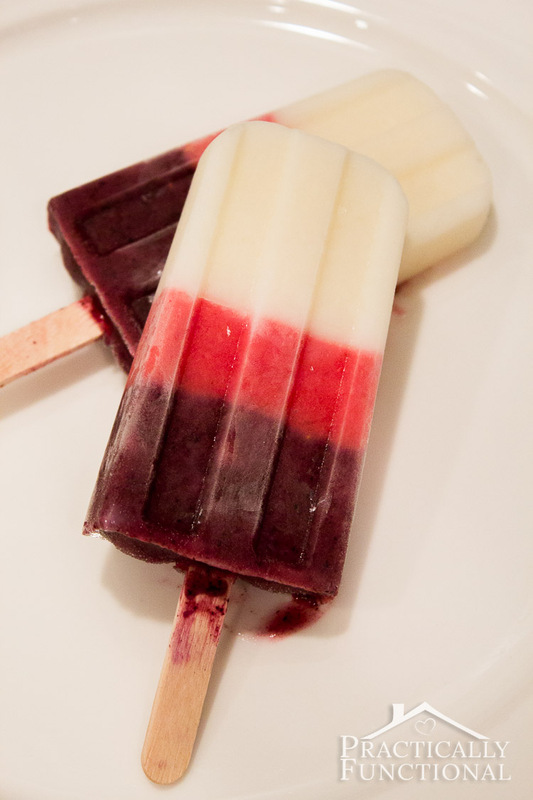 These yogurt berry popsicles are quick and easy to make, and super fun to eat! 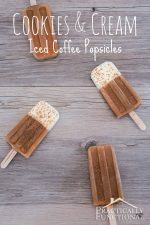 These homemade popsicles are so simple to make, and you can make them in any flavor combinations you choose! I used these popsicle molds that I bought on Amazon, and I love them! They come with a lid that holds the popsicle sticks in place so they don’t tip over, and it’s really easy to slide the popsicles out of the molds once they’re frozen! Blend the vanilla yogurt and ice in the blender until liquid. Fill popsicle molds 1/3 full and place into the freezer for half an hour. After half an hour, add the popsicle sticks. The yogurt should be soft enough to push the sticks into place, but frozen enough to keep them from tipping over. Put the popsicles back in the freezer for an hour. After an hour, blend all the ingredients for the pink layer until liquid. Pull the popsicle molds out of the fridge and fill the molds another 1/3 of the way up. Put the popsicles back in the freezer for another hour. After another hour, repeat for the purple layer, filling the molds to the top. Put the popsicles back in the freezer until completely frozen (about 2-4 hours). When you’re ready to eat your yogurt berry popsicles, pull the molds out of the freezer, run some cold water over the outside of the mold for about fifteen seconds, and the popsicles will slide right out! Have you ever made your own homemade popsicles? What are your favorite flavor combinations? 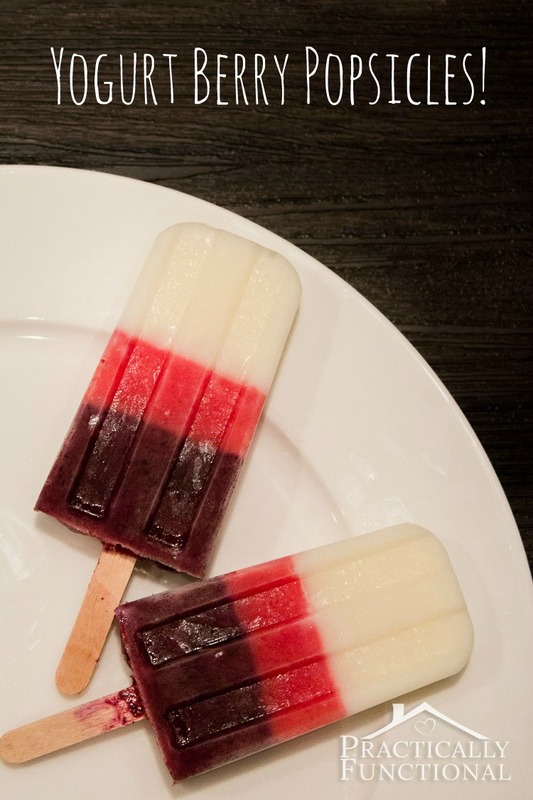 These are the perfect summer treat to beat the heat, and they only require three ingredients! Blend the vanilla yogurt and ice in the blender until liquid. Fill popsicle molds 1/3 full and place into the freezer for half an hour. After half an hour, add the popsicle sticks. Put the popsicles back in the freezer for an hour. Blend all the ingredients for the pink layer until liquid. Pull the popsicle molds out of the fridge and fill the molds another 1/3 of the way up. Put the popsicles back in the freezer for another hour. After another hour, repeat for the purple layer, filling the molds to the top. Put the popsicles back in the freezer until completely frozen (about 2-4 hours). 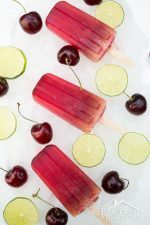 When you're ready to eat your yogurt berry popsicles, pull the molds out of the freezer, run some cold water over the outside of the mold for about fifteen seconds, and the popsicles will slide right out! 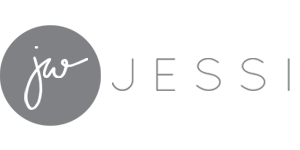 If you want to see some more great ideas for summer, check out these projects below! 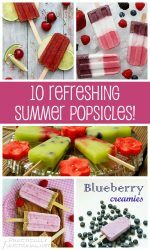 10 Cool Refreshing Summer Popsicle Recipes! Yum! I was looking for a few recipes, I just bought popsicle molds for my kiddos! I love how you were able to create the perfect stripes. 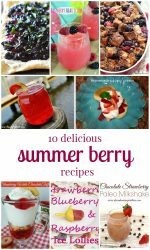 What a yummy summer treat! These look so good, and all the combinations you could make are endless! I love it!